Waffles are such a great invention! The special irons create perfect little pockets for holding wonderful toppings. The only dilemma is deciding on what to place in the pockets! For a springtime breakfast, we think vanilla yogurt and strawberries are the perfect topping choice. 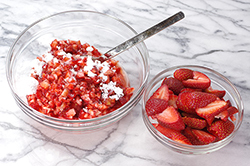 In fact, we’ve doubled up on the strawberries by creating a fresh sauce alongside fresh slices. 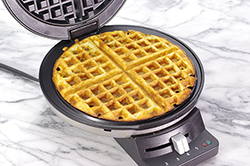 Heat up your waffle iron; delicious eats are about to be yours! 1. 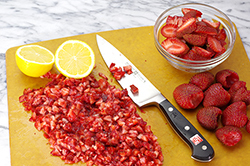 Prepare the Fresh Strawberry Sauce: Hull and rough chop half (1 quart) of the strawberries into a fine dice. 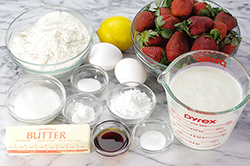 Place the chopped strawberries in a bowl and combine with the juice of one lemon and the powdered sugar. Toss to combine and set aside to macerate. With the other quart of strawberries, hull and slice; set aside. 2. Preheat the waffle iron until nicely warmed at a medium setting. 3. Melt the butter and allow to cool slightly while gathering the other ingredients. 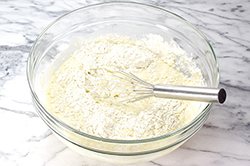 Meanwhile in a small bowl, mix the dry ingredients together: flour, sugar, baking powder, baking soda, and Kosher salt. Set aside. 4. 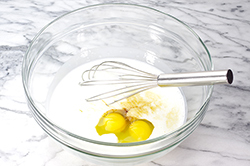 In a larger bowl, beat the eggs and combine with the buttermilk and vanilla extract until evenly combined. Add the cooled, melted butter and whisk well. 5. 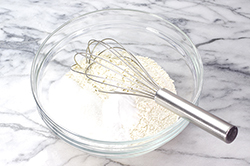 Add the dry ingredients to the liquid mixture, and stir to combine; avoid over-mixing. 7. Allow the waffle to cook until nicely golden and the steaming from the closed iron diminishes, about 2 – 3 minutes. Resist the temptation to check progress too early in the process and too frequently. Place the waffle on a heatproof platter in a warm (200°F) oven, or in a tortilla warmer while making the remainder of the waffles. 8. 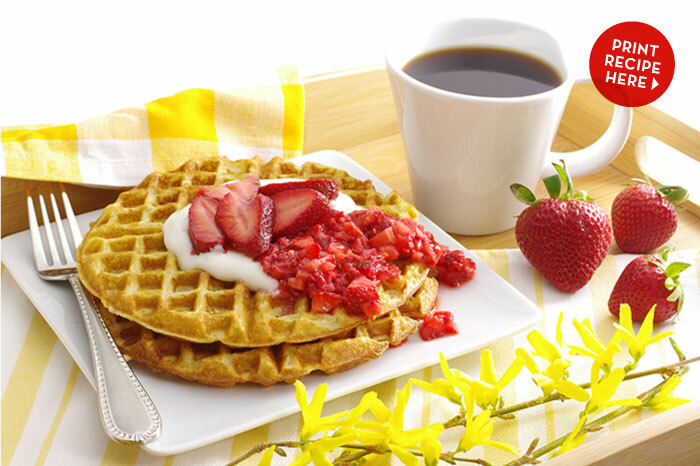 Top the waffles with a generous dollop of vanilla yogurt. Drizzle a few tablespoons of the fresh strawberry sauce over the yogurt and top with freshly sliced strawberries.